Sophisticated people are honestly trying to do the right thing, in ways official propaganda had not prepared me for. Like England, the United States, Japan, and others before it, China is passing through the environmental-disaster stage of industrialization and beginning to clean up. The difference is that those countries waited until they were rich before they started the process. China is still full of poor people, but for reasons of scale and impact, it cannot postpone cleaning up. 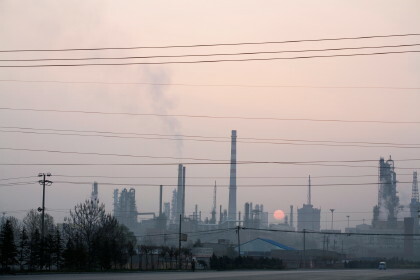 A less-hysterical look at China’s environmental efforts from the always reliable James Fallows. Read it here. This entry was posted in China, Journalism. Bookmark the permalink. Post a comment or leave a trackback: Trackback URL.